Rita Charles is a social entrepreneur, Young female enabler, Gender and social change advocate, currently the Director and Founder of RitiGreat foundation a non-profit development, working actively to improve the health, education, Rights and total well-being of young underprivileged girls and women in rural areas of Nigeria. 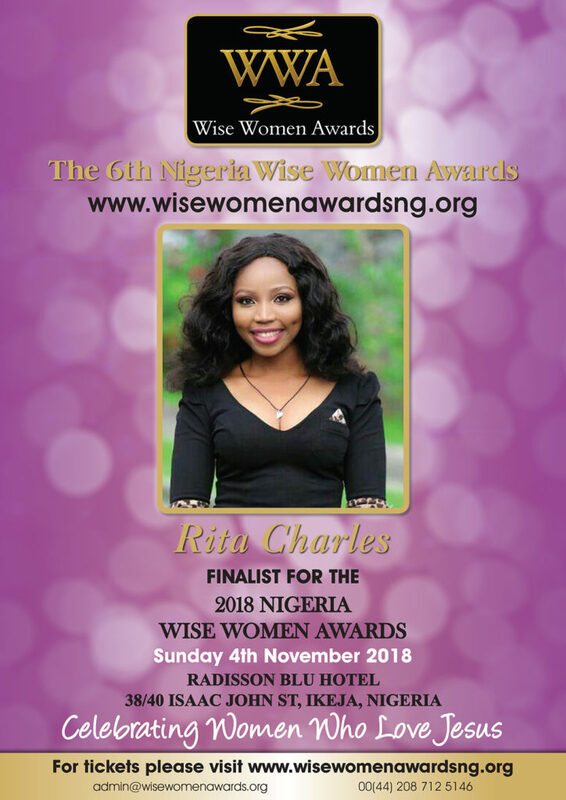 Rita Charles is also a volunteer Programs coordinator for Devatop Center for Africa Development for End Female genital Mutilation Advocacy in Kuje Area Council of Nigeria and serves as a director of young women in business enterprise and innovation of Global Youth for Change development initiative. An alumna of the University of Calabar where she capped her educational pursuit with a bachelor degree in Public administration and a diploma in Local Government administration. Chartered in Administration, marketing, and public management; holds a professional certification in Human resource Management, Project management and Customer Service Relations. A seasoned administrator with integrity, strong potentials, vast experience in social entrepreneurship and branding. Visionary Leader with proven administrative skills involving managing, developing and motivating teams to achieve set objectives. Fully committed to providing and implementing dynamic and compelling solutions to the ongoing objectives of a charitable organization. She has worked for several organizations both in Nigeria and a Mexican magazine company, and always left positive legacies; founder of Young Female World Changers club and the CEO of RitiGreat Honey Nigeria limited.